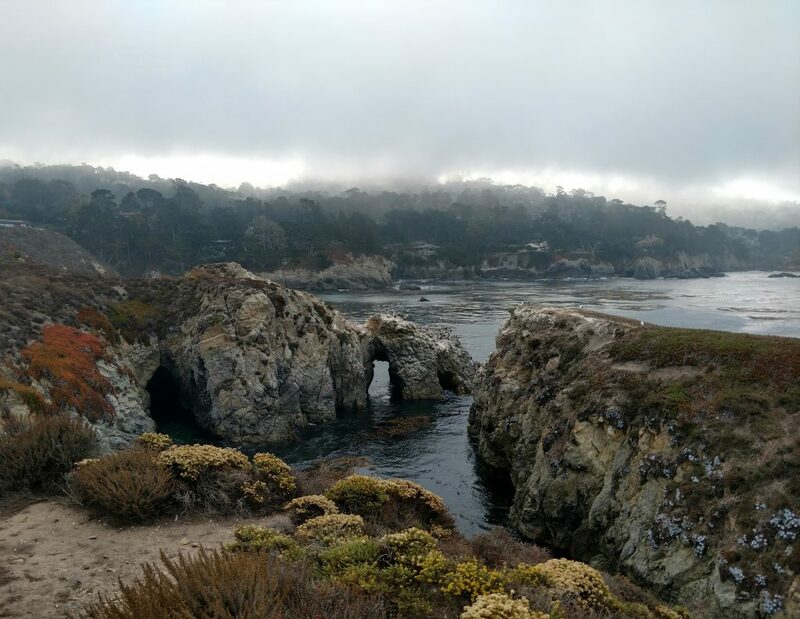 In a departure from my typical rough-and-tumble trips across the Western Backcountry, my wife and I spent a three day weekend in the bucolic seaside town of Carmel-by-the-Sea. Often compared to a real-life fairy-tale town, its tasteful charm was not missed even by this rambler. October is my favorite time of year on the California Coast. Temperatures are warm, fog is scarce and so are the crowds. 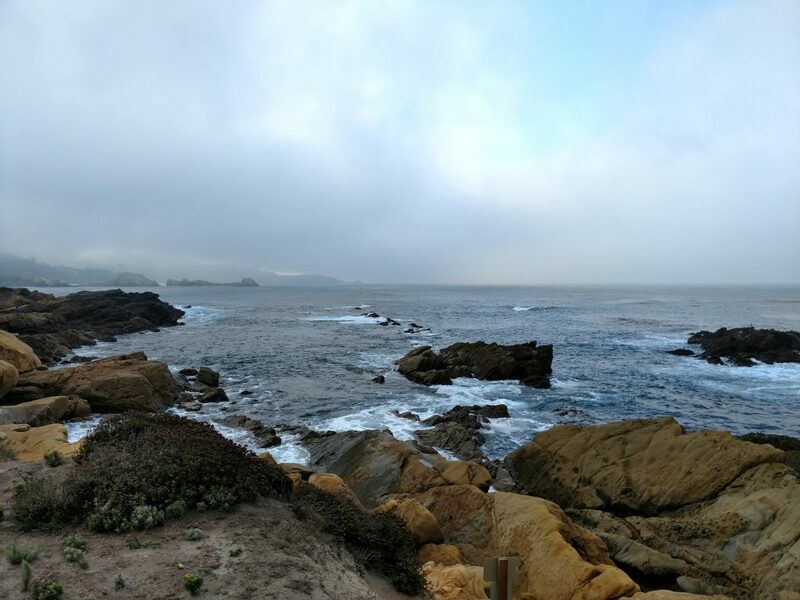 Looking for some relaxation and rejuvenation, we booked a trip to Carmel-by-the-Sea. I don’t know why I perceived the Central Coast as so far from us in the Bay Area- the drive took less than 2 hours and was equidistant to us as Sonoma and Napa. But with a toned down pace and mostly two-lane roads, it's a welcome respite from fast paced life in the Bay. Driving out of the Bay Area is challenging on weekdays so we chose to leave early on a Saturday Morning. Once we got on Highway 1 South of Santa Cruz, the beauty and bounty of the Central Coast unfolded. I can’t remember the last time I enjoyed a drive as much as this one. Almost immediately after leaving the Santa Cruz area, the landscape becomes a kaleidoscope of agriculture. Salinas and the corresponding valley are known as the “Salad Bowl of America”. We passed numerous roadside strawberry stands and farmers markets along the way. In this region, farm-to-table is a serious business for everyone, from five star restaurants to corner cafes. The destination we were most excited about was Moss Landing and Elkhorn Slough. Wildlife viewing here is unparalleled. Most come to catch an excellent view of endangered Sea Otters. Ranking as the “most adorable” marine mammal in the world, this was our first time seeing them in the wild. Sea Otters feature in aquariums across the world but seeing them in the wild was a dream come true. 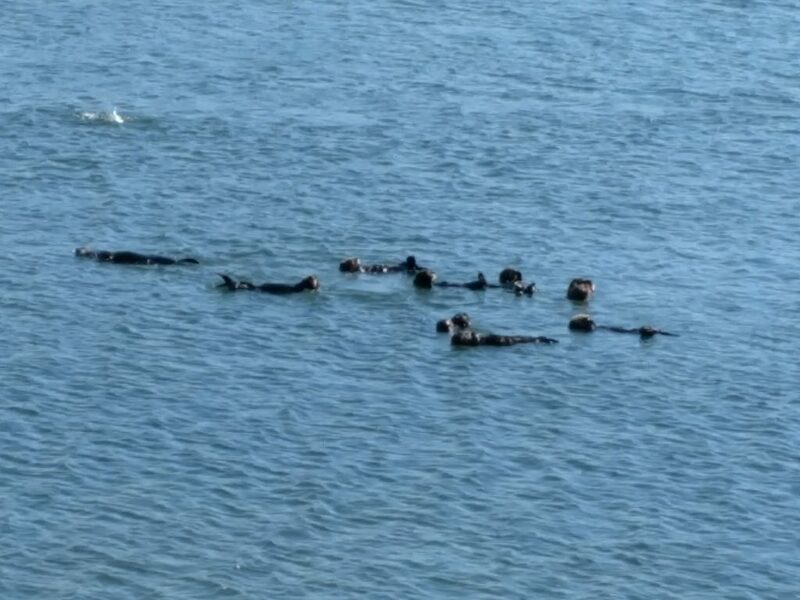 From the viewpoint in Moss Landing State Beach off Jetty Road, we watched a pod of two dozen otters for about an hour. They’re every bit as gregarious and playful in the wild as they are in aquariums. I’m getting more into the birding craze and Elkhorn Slough is one of the country’s top spots. With a pair of binoculars and an identification book, I spotted about two dozen different species of shorebirds including many Marbled godwits and curiously shaped Long billed curlews. Hiking is always on our minds when we travel. The day we arrived at Carmel-by-the-Sea had unusually blue, sunny skies so we took advantage of it! There are literally hundreds of hiking trails around Carmel, both on the shore and in the mountains. A few of these trails are notoriously crowded on Saturdays so we steered clear of them. 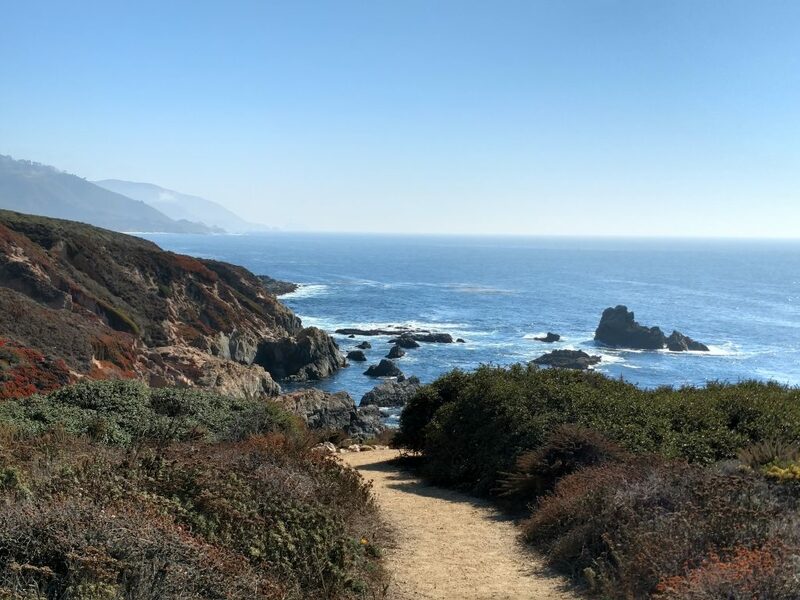 Garrapata State Park is one of the closest and least traveled parks near town and the first of many parks on the Big Sur coast. Big Sur is as scenic as it is nebulous. There's no sign that says "Now entering Big Sur". Technically there's the town of Big Sur but the region's boundaries are undefined. 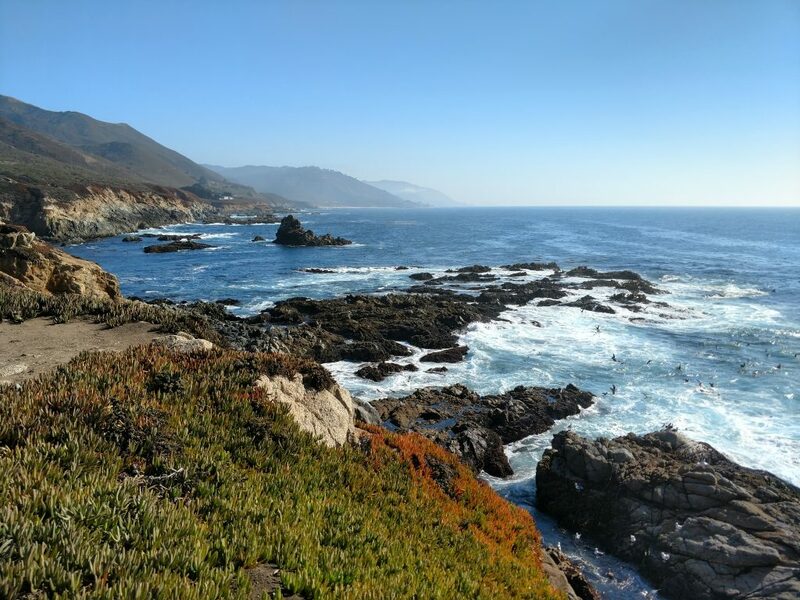 As we left the artistic hamlets of Carmel-by-the-Sea and drove South on Highway 1, the unmistakably jagged coastline and lack of civilization served as our Big Sur welcome sign. Garrapata State park is less than 15 minutes from town but a world away. I'm not sure what we were expecting here but note that Garrapata SP does not have an official entrance, visitor center or any real signs. People just park off the side of Highway 1 in makeshift lots and find a trail. Thats exactly what we did! Armed with a crude map of the area, we set off without a particular destination. The views were instantly magnificent from the short but steep trail to Whale Peak. This saddleback mountain looms almost 300 feet above the coast and took minimal effort to reach from the highway. We parked ourselves on a few benches and took it all in. The Pacific Coast Highway was the only sign of civilization, everything else was California, au natural. Mountains lining the coast rose a thousand feet within half a mile. We wondered out loud how they ever built a highway across this craggy landscape. We continued down from the mountain and followed the Soberanes Point Loop. Our favorite part of this trail, other than awesome ocean views, was seeing all the shorebirds and pelicans feeding among breaking waves. These birds have some serious guts! Only when a double-overhead wave was about to break would the leave their fishing spot. Surely they are the true surfers of California. 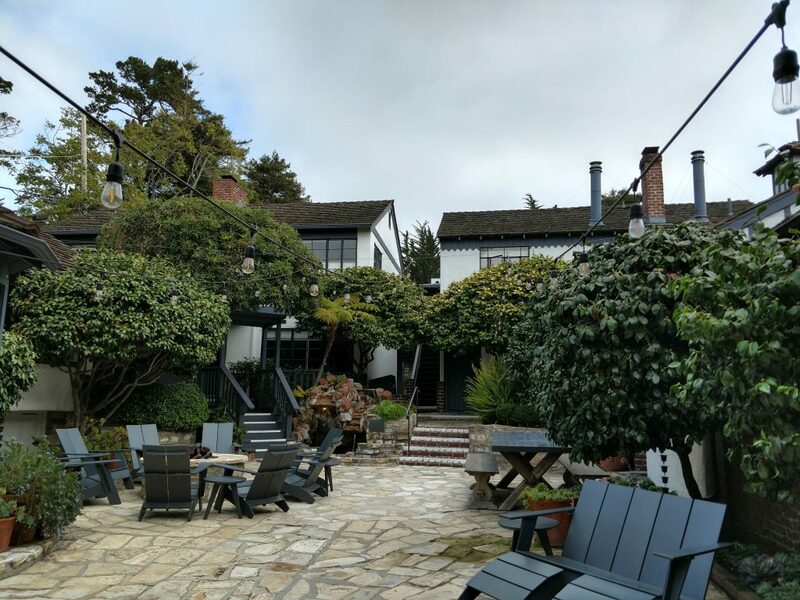 It took a lot of research for us to decide on a place to stay in Carmel-by-the-Sea. Of the dozens of options, we narrowed our list down to a few key traits. We wanted to stay at a bed-and-breakfast. They tend to cater to those of us looking for a less manic morning and want to be papered. Secondly, we wanted to be close to downtown so we could wine taste and dine without worrying about who's driving. Finally, we searched for something a bit more upscale for our couple's getaway. That's how we arrived at Vagabond House Inn! We were instantly delighted by our choice to stay at Vagabond's House Inn (I'm not being paid to say this!). It definitely fit with the architecture of the town. With a few small houses surrounding a cobblestone courtyard and firepit, we were straight out of a Victorian fairy tale. We arrived just in time for wine and cheese, the latter sourced locally. Afternoon lingered into the evening as we caught up with a few other millennial couples who undoubtedly had similar reasons for coming. We traded restaurant and wine tasting notions and swapped stories of how we all ended up in the Bay Area. Wine of the central coast is as established as it is in Napa or Sonoma. In fact, many vintners based in Northern California source grapes from the Central Coast and sell them under their own label. So the region intrigued us- how would it stand up to the legendary Cabernet Sauvignons of Napa and Chardonnays of Sonoma? We prepared for an eye-opening stroll to the downtown tasting rooms. Galante Vineyards instantly caught my eye. Whether it was the cowboy theme or the fact that the founder has roots in Carmel back to the gold rush era, we couldn't resist the curiosity. We grabbed a few seats at the old western themed bar while the founder, Jack Galante himself served us! Galante was worth the visit for several reasons. When we wine taste, we like variety. We want to try everything from the traditional to the experimental. The Central Coast boasts world-famous Chardonnays and Pinot Noirs but we still want to try more than just those. 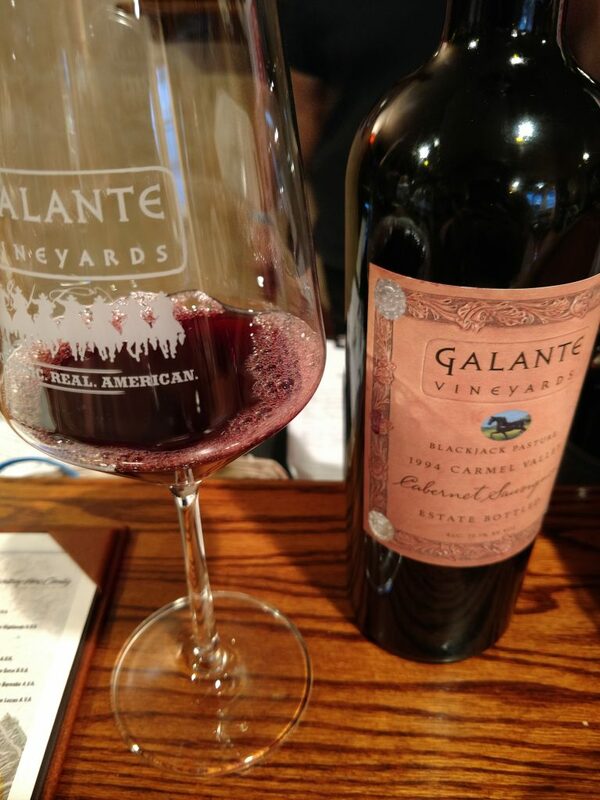 Galante had a fantastic Pinot Noir but the star of the show was the side-by-side pour of the 1994 and 2016 vintages of their Cabernet Savignon. What a difference 25 years of aging makes! We finally understood what "rounded" and "balanced" tannins meant. The difference is difficult to describe though the aging is unmistakable. We left with the oldest bottle of wine we've ever purchased! Hahn Family Wines is another Central Valley stalwart with a tasting room in Carmel-by-the-Sea. We ducked in on a Sunday afternoon for some delicious variety. Our winetender generously poured us a few off-the-menu wines to our delight. Two of their wines stood head and shoulders above the others- a curiously underappreciated Riesling and a classic San Lucia Highlands Pinot Noir. The dry but cool terrier of the Central Coast produces marvelously balanced Pinot Noirs which are difficult to cultivate outside of perfect conditions. Rieslings in the US are more associated with Washington State and Oregon but Hahn proved the varietal to be suited here as well, producing a dry but tropical Riesling fitting for California. Without a doubt, the crème de la crème of our outdoors experience was Point Lobos Reserve. Its a locally famous park so we expected crowds to be there. But by leaving early and arriving at the park just as it opened, we avoided the bulk of them. The cliffy oceanside and islands alone make the place gorgeous but the real sight to see were the stands of Monterey Cypress. These artistic trees only grow in two placed in the world: both sides of Carmel Bay. The most famous of these trees is the "Lone Cypress" off 17 mile drive. But we wanted to see something a little less traversed and Point Lobos did the trick. There are many hiking options in the park but a few are most memorable. The first was a very easy stroll down the 0.8 mile Cypress Grove Trail. These extremely rare trees look delicate but they stand strong on the cold and foggy Central Coast. We admired their twisted trunks and umbrella-like branches of the grove. Though the trail was short, it invited delightful lingering. 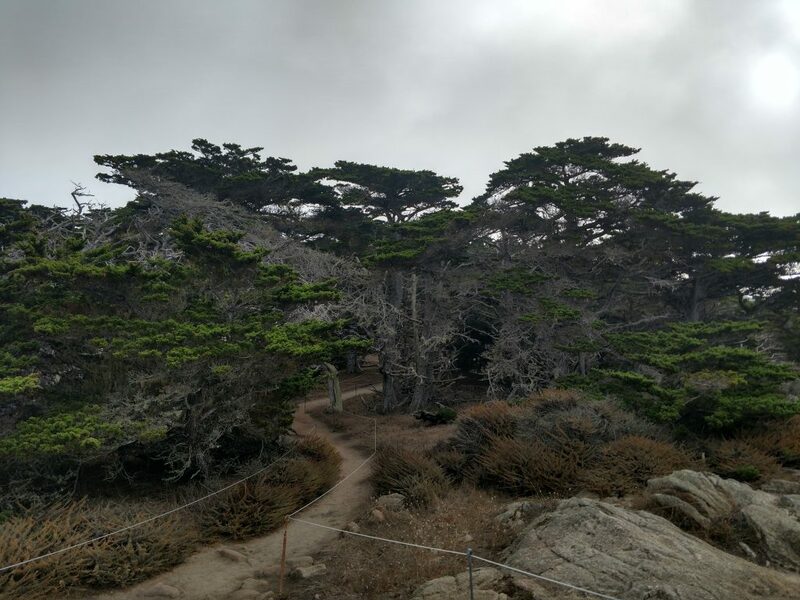 We combined the Cypress Grove Trail with a loop around Point Lobos. This trail circles the rugged coastline carved by millennia of currents and waves. I loved seeing all the small islands which are sanctuaries for seabirds. Legions of cormorants, gulls and pelicans played along the coastline. We caught a glimpse of a sea lion rookery with many of them fighting to be "king of the island". I'm sure there's some social structure that we couldn't really understand going on as they barked and fought for space. The coastline seemed to go on forever as we strolled along but we covered 7 miles in about half a day. One thing I confess we found was not to our tastes was the 17 mile drive. After driving it we had some nice views and a few good birding locations but I think its more suited towards. Carmel-by-the-Sea is so accessible to us in the Bay Area so I don't think of it as very far off the grid meaning I'm sure we'll return soon. Next time I want to spend more time going down the Big Sur coast; once leaving the confines of Carmel-by-the-Sea, there's not a significant city until you get to Morro Bay. I'm sure there's plenty of roadside pull-outs and hikes along the way. We also barely scratched the surface of the several dozen wineries in the area. I like the idea of tasting 2-4 over a weekend and splitting them between the classics and the up-and-coming. Lastly, I want to explore more of Carmel Valley, where all the wine comes from. The tiny town of Carmel Valley echos Camel-by-the-Sea with a quaint downtown, established wineries and plenty of restaurants. Well its no wonder so many of us Bay Area types enjoy this place. I can't wait to come back in the Spring!